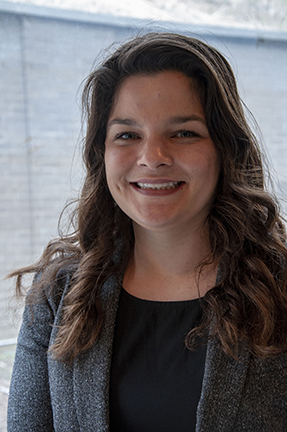 Graduate student Karryn Crisamore, PharmD, was recently selected as the recipient of the American Foundation for Pharmaceutical Education (AFPE) Herb and Nina Demuth Memorial Award. This highly competitive pre-doctoral fellowship supports pharmaceutical sciences research involving intravenous therapies to positively impact patient health. The award is given to individuals who, in the judgment of the scientific review panel, have demonstrated superior academic achievement and have a high overall ranking within their department, have strong written and oral communication skills, prior research experience, display strong leadership, and show high potential and commitment to becoming an outstanding pharmaceutical scientist. Her research will investigate pharmacogenomic drivers of interpatient variability among intravenous therapies in the intensive care unit and impact on outcomes. Crisamore is a second year PhD student in the Clinical Pharmaceutical Sciences track at PittPharmacy under the mentorship of Philip E. Empey, PharmD, PhD. 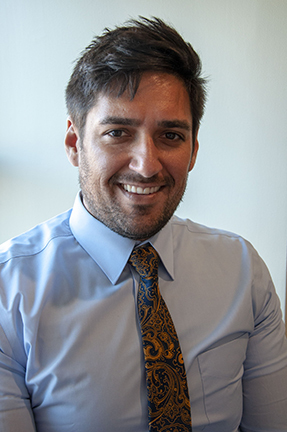 Brian Kiesel, MS, was selected to receive an American Foundation for Pharmaceutical Education (AFPE) Pre-Doctoral Fellowship in Pharmaceutical Sciences. This competitive fellowship is awarded to high performing graduate students with demonstrated research skills who have exceptional academic performance, communication, and leadership and is used to support an impactful research proposal. His research will investigate the translational pharmacology of DNA repair inhibitors in combination with radiation therapy for cancer treatment. Kiesel is a PhD student at PittPharmacy under the mentorship of Jan H. Beumer, PharmD, PhD.